Moderate and strenuous 6-8 hours activity per day with occasional longer days on peaks or high passes. Expect high altitudes, difficult terrain and changeable weather patterns. Previous experience desirable but not vital, good physical fitness and preparation recommended. This trek is a great mix of breathtaking scenery, challenging adventure and unique culture, as we cross some of the world's highest passes offering amazing views of the arid landscape, its high peaks, lush valleys and grasslands that bring us face to face with Changpas and their gripping lifestyle that is so adapted to these extreme locations. 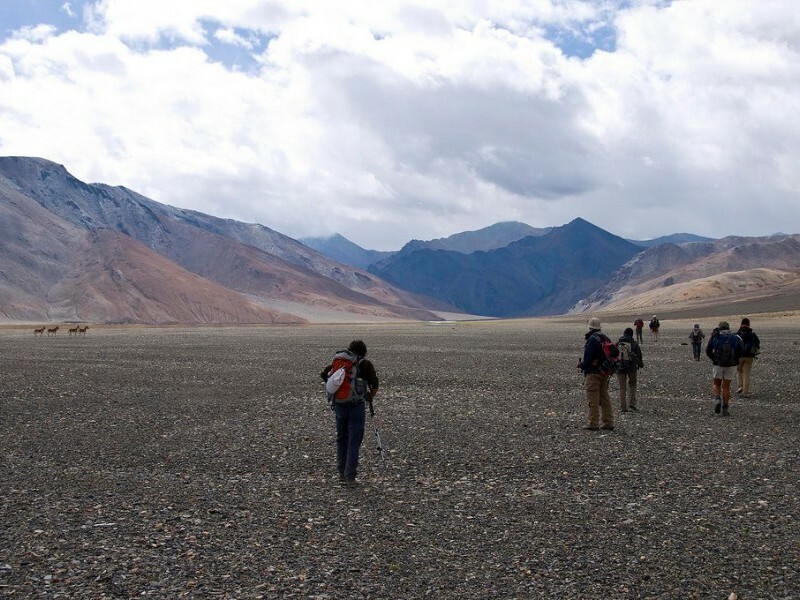 Experience the magnificence of Ladakh and its people. 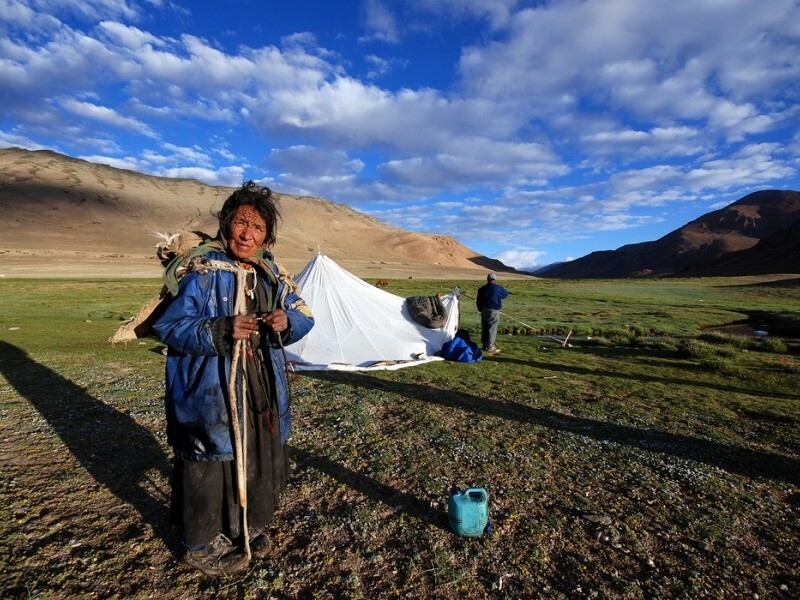 Meet the Nomadic Changpas face to face. Trek through awe inspiring landscapes. 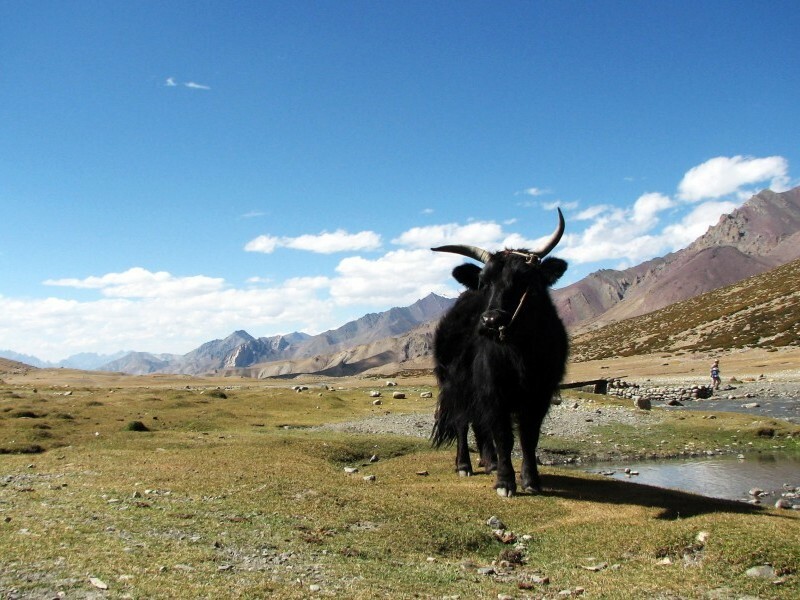 Visit Buddhist temples and monasteries around Leh. 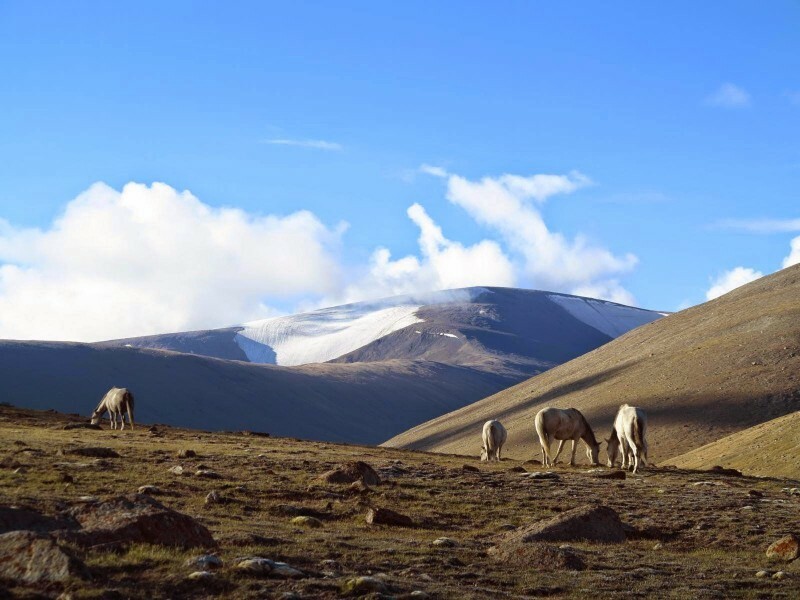 Rupshu is the western most extremity of Changthang plateau –Tibet’s 600 mile wide, 15000 feet high northern steppers famous for spectacular arid landscapes and its fascinating native inhabitants the Changpas, nomadic yak herders that have navigated the region for sanctuaries. 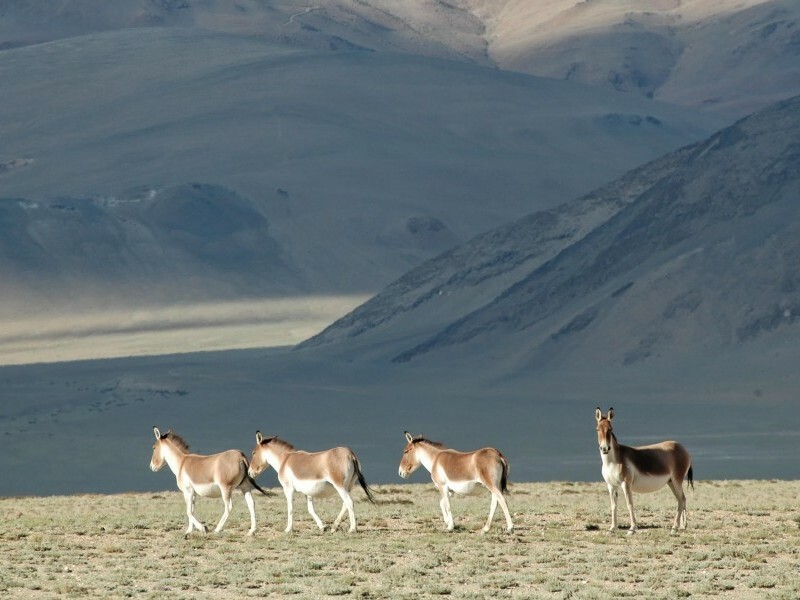 Following our exploration around Leh, we start our trek from Shang, treading our way across Kongmaru la (5200M) to the beautiful Nimaling plains in Markha valley. 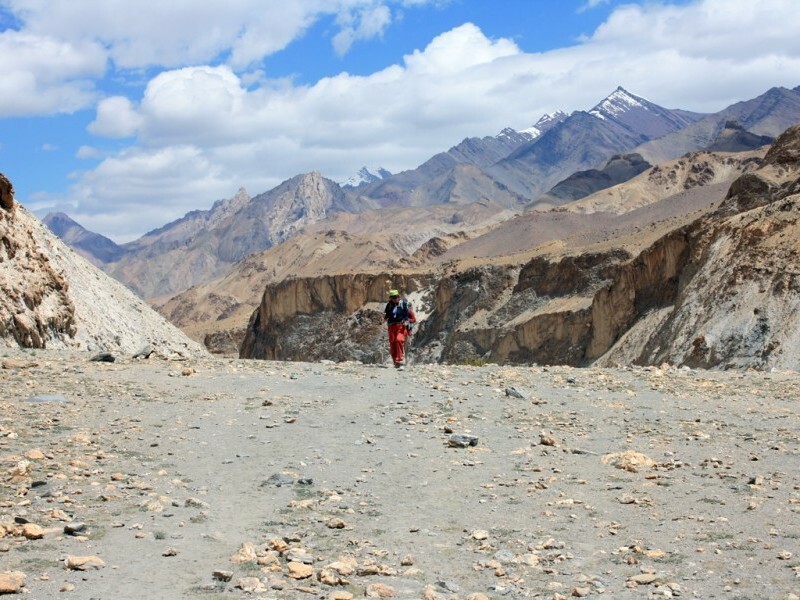 We continue our way through Rupshu valley to Takh – a road head on Leh- Manali highway. The trek is a great mix of breathtaking scenery, challenging adventure and unique culture, as we cross some of the world’s highest passes offering amazing views of the arid landscape, its high peaks, lush valleys and grasslands that bring us face to face with the Changpas, their gripping lifestyle that is so adapted to these extreme locations. 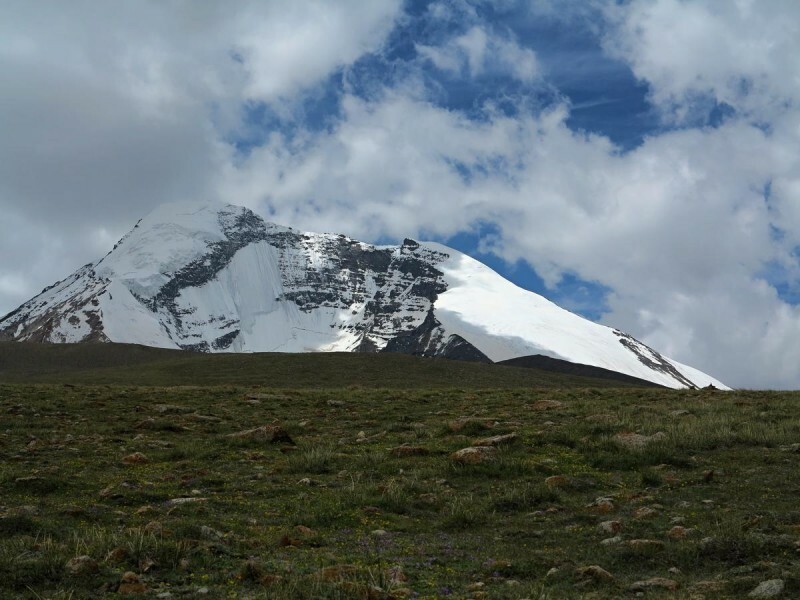 Early morning we will be transferred to the Airport to board the internal flight to Leh, which passes over the Himalayan Ranges with breathtaking views and it will brings us to a fertile valley just to the north of the mighty Indus River (this flight is subject to weather). After such a highly spectacular flight over the Himalayas, we arrive in Leh airport. Upon arrival, we will be transferred to the hotel for check-in. Rest of the day is free for us to relax and acclimatize to the high altitude weather. Late afternoon there will be a gentle orientation walk of Leh and its local market. Today we do the local exploration, visiting the bazaar (local market) of Leh. Then, we visit Shanti Stupa which is a Buddhist white-domed stupa (chorten) on a hilltop in Chanspa, in the north Indian state of Jammu and Kashmir. This was built by Japanese monks to promote world peace. The Shanti Stupa holds the relics of the Buddha at its base, enshrined by the 14th Dalai Lama himself. Later we visit Leh Palace, nine storey palace built in 1553. One can have the beautiful view of Leh city and surrounding mountains. Afterwards proceed to Shankar Gompa (‘Gompa’ means monastery) which is located at 3 kilometers distance from Leh, it is a subsidiary of Spituk Monastery and belongs to the Gelugpa Sect. 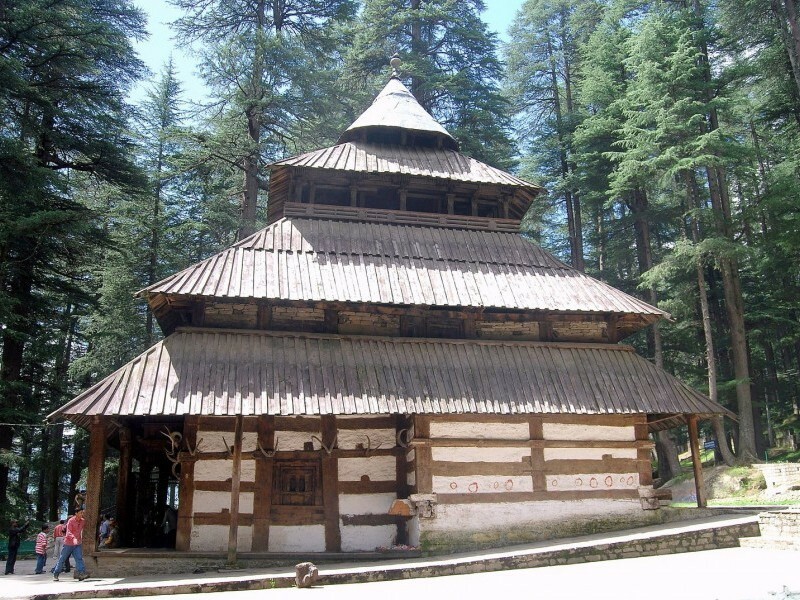 The Gompa is also the residence of Kushok Bakul (Head of the Gelugpa Sect). 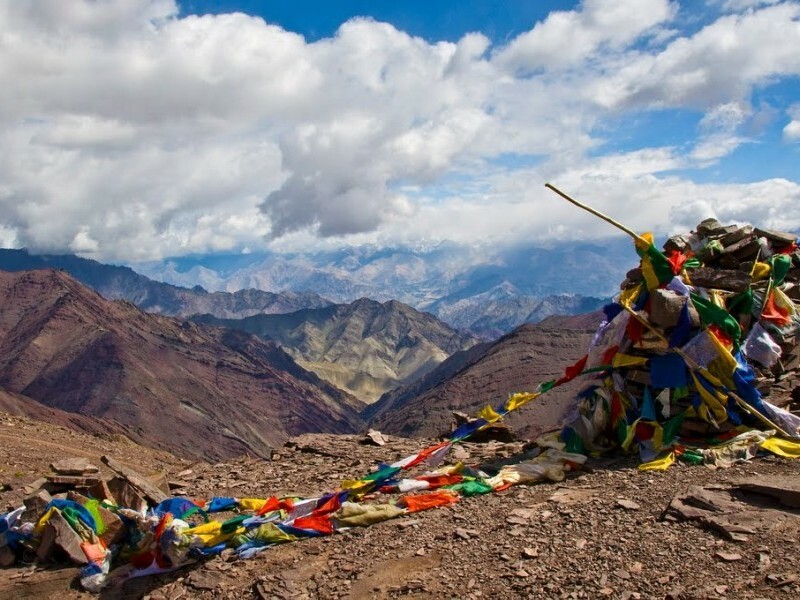 We also visit Namgyal Tsemo Monastery perched on a hilltop from where we have a bird’s-eye view of the Leh city. The Gompa has a three-storey high solid gold statue of Matireya Buddha and ancient manuscripts and frescoes. It was built in 15th century by King Tashi Namgyal; after that we come back to hotel and relax. This morning after breakfast we drive towards Spituk and visit Spituk Monastery; it was founded in 11th century and located on a hilltop; river Indus flows behind the monastery. The Monastery belongs to Gelugpa sect (Yellow Hat sect). Then we head towards Phyang Monastery, located on a hilltop just like Likir Monastery and belong to the Drigungpa Order. 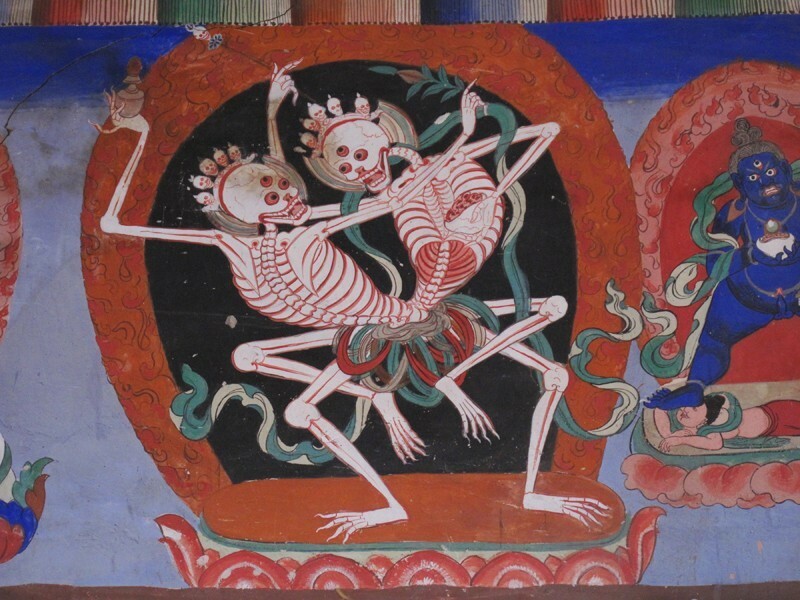 The monastery also has a 900 year old museum which has a rich collection of Chinese, Tibetan and Mongolian artifacts. After the visit we drive back to our hotel and relax. 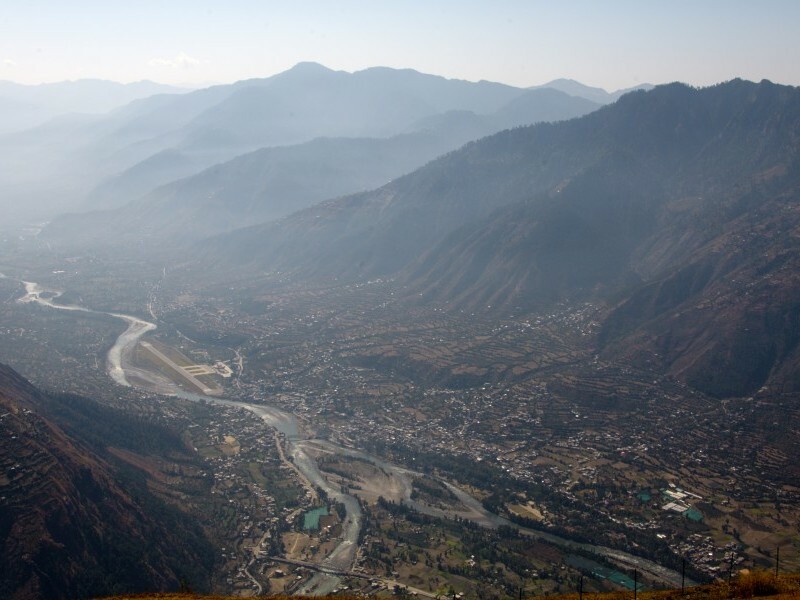 This morning we will be transferred to Kullu airport to board the flight for Delhi. Reach Delhi and will be transferred to the hotel for check-in; rest of the day is free for us to relax at the hotel or can explore the surrounding area by own.